All kinds of online purchases, entertainment services and other real money transactions are generally considered safe. But as you may already know, wherever there is money flowing there will always be dishonest people trying to get their hands on these by using dishonest means. 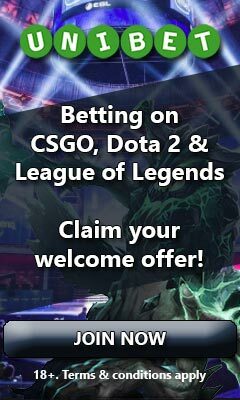 Unfortunately online gambling such as eSports betting is no exception to this. Our core value at eBetFinder is to help the eSports community to get an excellent betting experience and we will always discourage an operator that has a proven fraudulent behavior. It is, however, very difficult to get a full insight in a betting company and therefore it’s not always easy to know if they’re honest or not. Whether it’s a new operator or one that’s been in the industry for 20 years, there’s always talk about scam on the internet. There are always several people who feel they haven’t been treated the right way although the site has a proven record of being safe and secure. This can make it difficult to tell a trusted operator from a dishonest one. Before listing an eSport betting site at eBetFinder we always do everything that we can to make sure that the operator is trustworthy. Our team has first of all successfully been betting on the site, which is what our reviews are based on. This does of course include making cash outs. Secondly, we always make sure that the operator has a license issued by a reliable gambling regulator, such as the Malta Gaming Authority or Curacao Gaming. In some cases we additionally do a bit of deeper digging just to make sure that nothing fishy is going on. Have you experienced scam from one of our listed brands? Then we would highly appreciate if you would let us know. We may first of all be able to help you out in resolving the issue by using our knowledge of the industry and speaking with the operator. Maybe there has just been a misunderstanding or a breach in terms of conditions that you didn’t know about. If it turns out you’ve been scammed and we are able to confirm this, we will immediately take action by blacklisting the site and having the community informed. Therefore your help is of great value to us and everyone who appreciates betting on eSports. You can reach us by sending an e-mail to [email protected].